"Hate to See You Go (But I Love To Watch You Walk Away)" from his second CD, "Frame of Mind". He also is a founding member of The Tapwater Conchs whose Cd depicts the party life of Key West. "Crawford's style is reminiscent of Southern jazz, but uniquely his own. 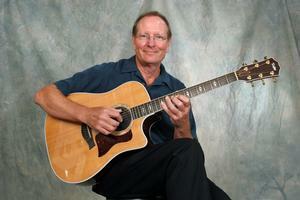 Dan has opened shows for such major acts as Gregg Allman, Firefall, and The Coasters. A popular performer at beach and night spots throughout Florida, as well as private functions, Dan implements his show with a self-sequenced midi backup and also performs with his live band MOVING TARGET. Click on Dan's website to see where he is performing tonight!